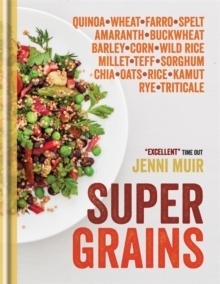 She's produced a wonderful set of recipes, bringing imagination and sparkle to the basic ingredients ...a wonderful book - The Guardian The recipes are unbelievably romantic - The Telegraph Excellent - Time Out Eating more of the right kinds of grains is an easy way to better health. Whole grains are packed with nutrients including protein, antioxidants, B-vitamins, fibre and trace minerals. A diet rich in these grains reduces the risk of heart disease, type 2 diabetes, obesity and some forms of cancer. Grains are also one of the most tasty, versatile and nutritious food sources available - a delight to eat, easy to cook and very economical. 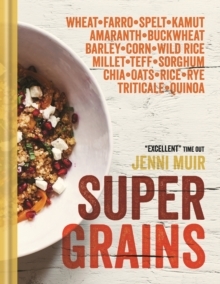 Supergrains explores grains from all over the world, provides an in-depth look at their culinary uses and nutritional benefits and features over 150 recipes so that you can easily incorporate more of these superfoods into your diet - from breakfast through to dinner and warming bedtime drinks.